PAWTUCKET, R.I. - On a chilly night from McCoy Stadium, the Pawtucket Red Sox (4-4) dropped game two of their four-game series with the Syracuse Mets (6-3) by a final of 3-1. The games was scoreless until the top of the fourth inning. After a walk to Rymer Liriano (0-for-2, 2 BB, R), Travis Taijeron (1-for-2, 2-R HR, 2 BB) belted a two-run home run over the berm in left field to give the Mets a 2-0 lead. 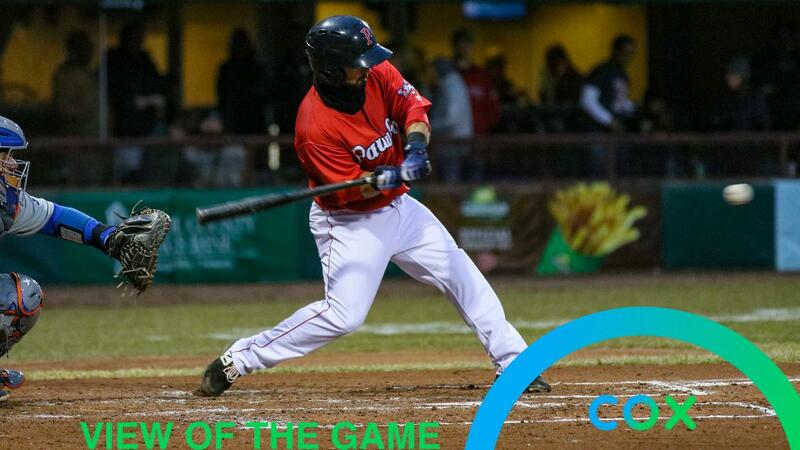 The PawSox responded in the bottom half of the frame thanks to an RBI single by Mike Miller (1-for-3, RBI, BB), who has now reached safely in all eight games to begin the season. Pawtucket loaded the bases in the sixth inning, but Mets reliever Tyler Bashlor struck out Juan Centeno to end the threat. The PawSox left 8 men on base and were 1-for-8 with runners in scoring position. Rajai Davis (2-for-4, HR) gave the Mets an insurance run in the eighth inning with a solo homer to left field. Making his second start of the season (and second against the Mets), PawSox righty Chandler Shepherd (0-2) went 5.1 innings, giving up 3 hits and 2 runs that were both earned, walking 5 and striking out 1. The PawSox continue their four-game series with the Mets on Saturday at 1:05 p.m. Pawtucket right-hander Josh Smith (0-0, 5.79 ERA) is scheduled to oppose Mets righty Chris Flexen (1-0, 3.00 ERA). Radio coverage on WHJJ (920 AM and 104.7 FM) and throughout the PawSox Radio Network begins with the pre-game show at 12:35 p.m.